glory | Reflection of Glory! 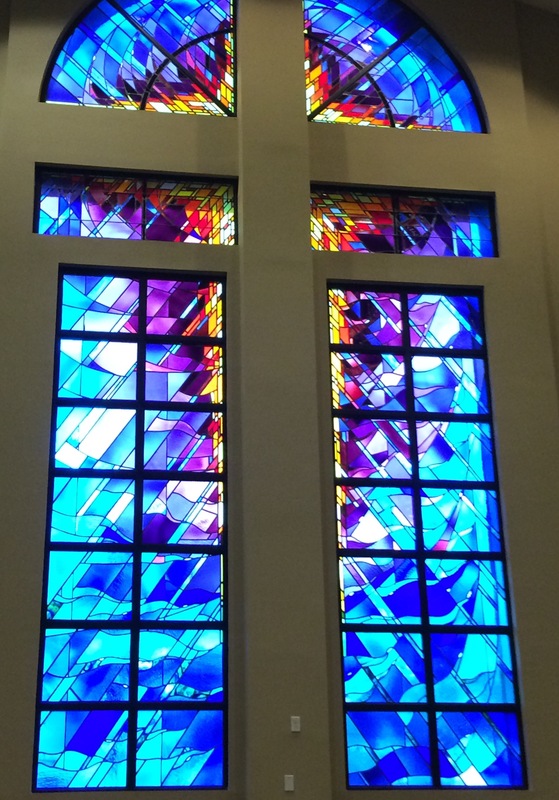 I love the stained glass cross window in our Sanctuary! At certain times, the sun blazes through the window and the reflection on the opposite wall looks like the cross is on fire! Oh Lord! May the FIRE of Your Holy Spirit burn brightly in us and through us! May we be a reflection of Your glory!